Posted on January 1, 2018 by WebPublishingTeam wrote in News. 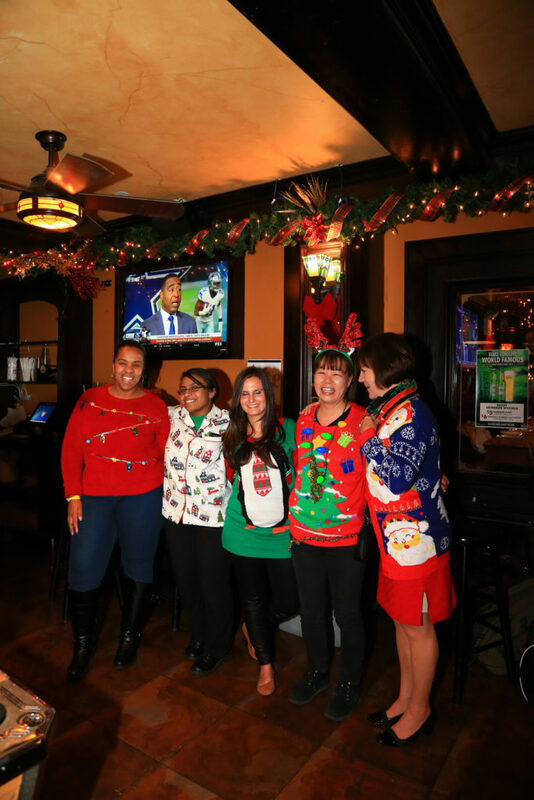 On Thursday 12/21, our NYC and LI teams, along with a few of our favorite manufacturers’ representatives, spent a terrific afternoon at the Irish American Pub & Restaurant in downtown Manhattan. It was a celebration of another great year at Weinstein & Holtzman and Unified Door and Hardware Group. 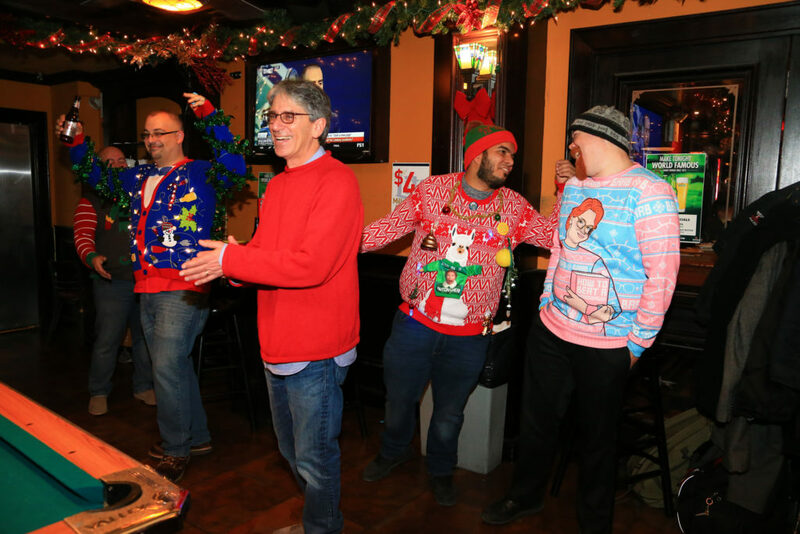 Everyone had a good time enjoying delicious food, good music, and fun activities, and at the end of the party, two employees with ugliest holiday sweaters were recognized and awarded small presents. We are looking forward to a prosperous and healthy 2018!